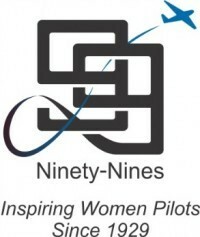 The Ninety-Nines is the International Organization of Women Pilots, and women holding a Sport Pilot Certificate or higher are eligible to join. Still working on your pilot certificate? No problem – join as a Student Pilot member. The 99s promotes advancement of aviation through education, scholarships, and mutual support while honoring our unique history and sharing our passion for flight. Check out our Amelia Earhart Memorial Scholarship opportunities from Fly Now! new pilot awards through type ratings and academic scholarships. To learn more, join us for a Chapter meeting – check out our calendar. We usually fly in to an IA airport, share lunch, hold our business meeting, and share our aviation activities. Our meetings are usually held on the 3rd Sunday of each month. For more information, send us an email (iowa@ncs99s.org). Visit the 99s International web site for a membership application.